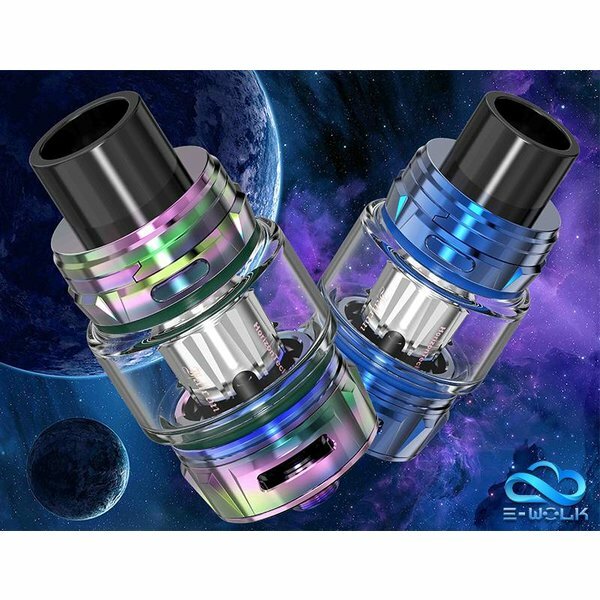 An exquisite design, which features a dual and triple mesh coils. The FreeMax Mesh Pro Tank measures at 25mm in diameter, a beautiful drip tip, and 4ml/5ml e juice capacity for you option. Uwell Crown 4 / IV tank is a new member of Crown series. It utilizes Dual SS904L coil and Double helix mesh coil to achieve heating evenly and produce excellent flavor. The SMOK TFV12 Beast Prince presents the next rendition of high-caliber Sub-Ohm system. The Uwell Crown III Mini Sub-Ohm Tank delivers the optimal performance balance of the original Uwell Crown 3 into a smaller form factor. Vaporesso Skrr Sub Ohm Tank Atomizer with 30mm diameter has two different e-liquid capacity, which can be conveniently filled via the threaded top fill system with two large fill ports. The Vaporesso NRG Sub-Ohm Tank is the modern flagship Sub-Ohm platform from Vaporesso, featuring 5mL juice capacity, Slide-n-Fill top-fill design, dual bottom airflow control, and the introduction GT Cores.